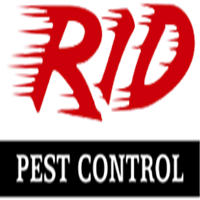 RID Pest Control is a locally owned, family operated business that knows South Jersey's pests. Servicing Atlantic & Cape May Counties since 1979, RID Pest Control is A+ rated by Better Business Bureau, 2015 Angie's List Super Service award winner and recipient of NJDEP's Environmental Stewardship Award. RID can take care of any pest problem you are having now and RID has a proactive Four Seasons Plan that anticipates seasonal pest problems and treats to prevent them. We can quote most pest problems over the telephone and will provide you with a free termite inspection if you suspect a problem. We value your time, and give two hour windows for all appointments. We value your home and family's health and always look for the least toxic solution for each pest problem, often turning to natural ingredients. RID's owner, Paul Utts has a B.S. degree from Rutgers in Environmental Health and is President elect of the NJ Pest Management Association. Paul showed up on time and was professional and courteous. My Technician Joe is tremendous. Thanks for him! 10 Star. Excellent service. So glad we signed up for a contract. Always very pleased with the service. They do a really good job! Service gentleman is always courteous and nice. Respectful. RID pest control is a great company. We have been with them for a very long time. When the person comes they are very efficient and really do their jobs. If you have any problem in between your scheduled appointment, they come right away and take care of the problem. Happy with the service. Service men are all friendly and through! Have not had any serious problems. RID does great work and is very reliable. I am happy workers all work well . Thank you Carol Baranowski. Very nice employees and are very thorough. Joe was very thorough . He was also very polite and friendly. I was very happy with my service. I had Rid pest control in my previous home and I chose Rid for my current home. Joe was our Rid serviceman in both homes. He is always curteous and professional. If I do have a problem I know I can just call Rid and Joe will take care of everything. I am happy with my RID service. I M NOT HAPPY WITH THE FACT THAT I WILL NOT RECEIVE CREDIT FOR A CANCELLED APPOINTMENT ON 02108/2019. My wife is ill and there is no way that we can be at our beach house(109 S. Rosborough Ave., Ventnor , NJ) for the next few weeks. The service man was early, which I loved! He was very attentive and respectful of the house. He asked if there had been any problems since the last visit, there have been none. Love the service Rid gives, from the girls who answer the phone to the Nan who came to the house. HI its Armand verratti, I am the owner of the property, thank you for all your service and I sent your payment in. always arrives on time, as scheduled. RID has kept my home pest free since we started with routine service. When we have had flea issues, they came right out and resolved the problem. Yes so far I am happy. However, it’s only been the first time that I have had you come out for the monthly service. You people are always polite, friendly and neat. I am very happy with my service! Have had the quarterly service for the past 20 years and have never had a complaint. We've had Joe come out to our house a few times now. He is very professional and courteous. The staff at Rid Pest Control has always been friendly when contacted. Would highly recommend! Very happy! Best decision ever!